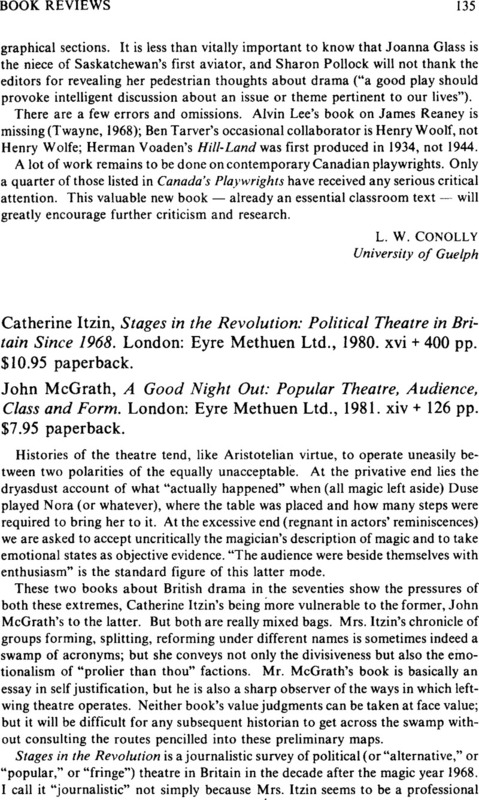 Catherine Itzin, Stages in the Revolution: Political Theatre in Britain Since 1968. London: Eyre Methuen Ltd., 1980. xvi + 400 pp. $10.95 paperback. - John McGrath, A Good Night Out: Popular Theatre, Audience, Class and Form. London: Eyre Methuen Ltd., 1981. xiv + 126 pp. $7.95 paperback.